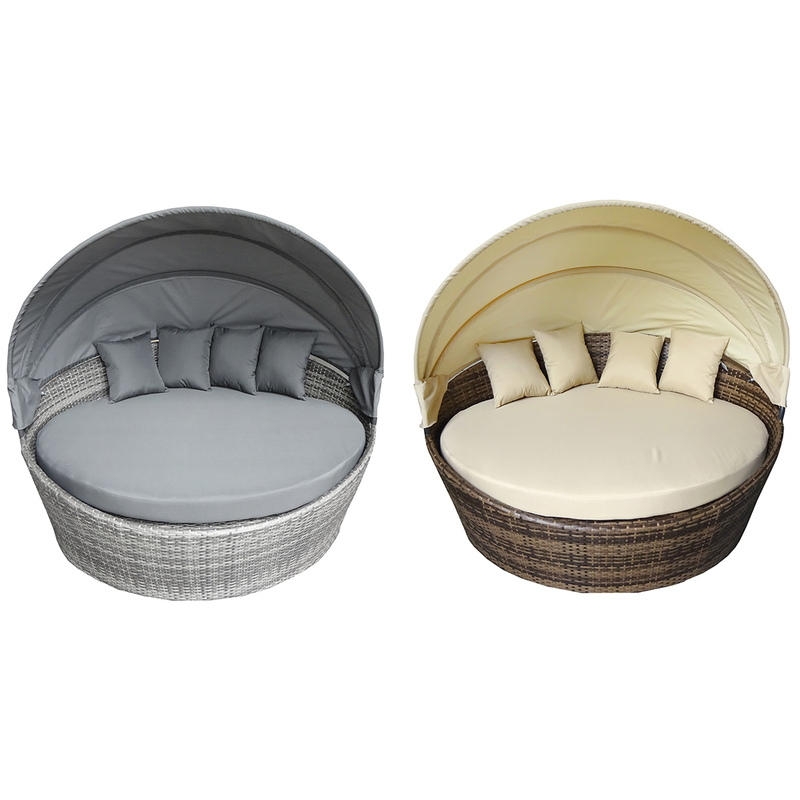 Provide the ultimate luxurious resting place in your garden, with this eye-catching rattan day bed. Featuring a contemporary design, this rattan day bed consists of a large extra thick cushion and four scatter cushions, for added comfort. Finished with a folding sun canopy, you can peacefully relax and unwind under the sun shade. Crafted with a robust aluminium frame, this sturdy bed is made from a weatherproof flat weave rattan, ensuring all year round use. Part of our Napoli and Verona furniture ranges, which are designed with inspiration from Italian cities, this rattan day bed comes in either a grey or brown colourway. Please Note: Matching outdoor furniture is available. The Grey bed is part of our Napoli range and the brown bed is part of our Verona range. Check that the furniture is completely clean and dry before storing indoors. When not in use, bring cushion inside. Wipe with warm, soapy water and dry thoroughly.